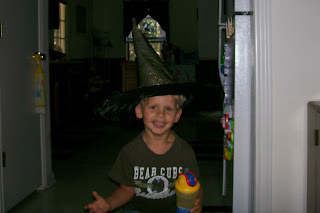 We picked up this witch hat at the 99 cent store and Dawson loves it! He wore it the entire time we were at the store, in the car on the way home, and he's worn it several times since. He's such a cute witch!